If you are a new blogger, It might be a little confusing to purchase hosting and domain name for your blog or website. So we are creating this guide for anyone who needs an understanding of how to start with purchasing hosting and domain for your website and start your website running from your new host. 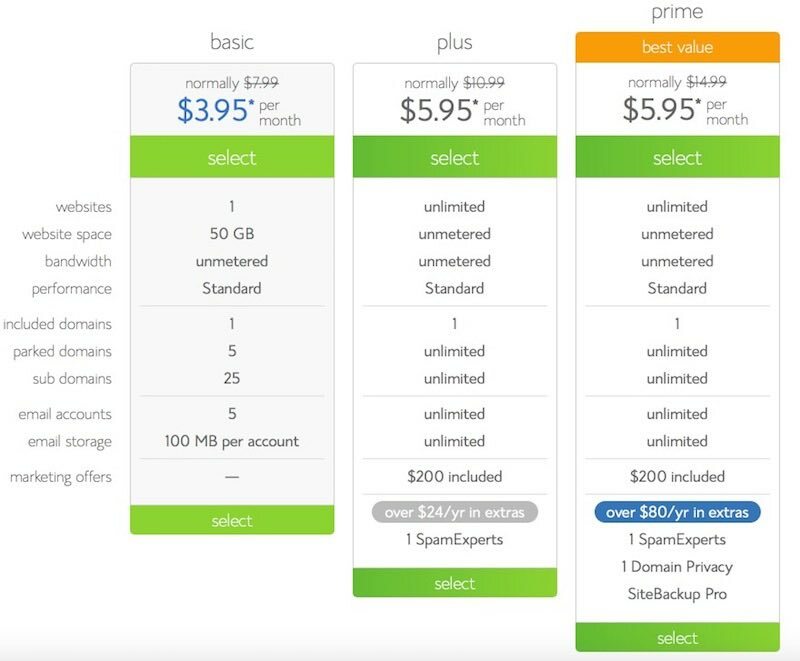 So let’s start with how to buy hosting and domain! When you are starting out, You make mistakes. If choosing a wrong web hosting provider for your website is one of them, you’ll regret it later. So you need to choose reliable hosting provider for your website for smooth handling of your websites. I always recommend Bluehost (my full review) to everyone because it is one of the top web hosting providers today and millions of people trust their services. For the purpose of this article, I’ll use www.bluehost.com for your hosting provider. Bluehost is the best host you can signup with when starting out. It is optimized for WordPress sites; there are tons of features and you also get one free Domain Name with your Hosting purchase. So you start saving right from the start. When you purchase hosting from Bluehost, you get one free domain name from them. But before you can avail that, you need to have your domain name ready. You need to decide on which domain you want to avail for your website. For my blog it’s maherhackers.com. If you already have bought a domain from somewhere else, that’s fine too; You can use that domain with Bluehost as well. To cut the story short, Make sure to have ideas ready for what you want your domain name to be. If you haven’t decided, You can take your time and also register domain after your hosting purchase, which will be free too. So no pressure! Here are a few tips on how to find the perfect domain name. Besides that, you don’t need anything else. You are ready to move ahead. 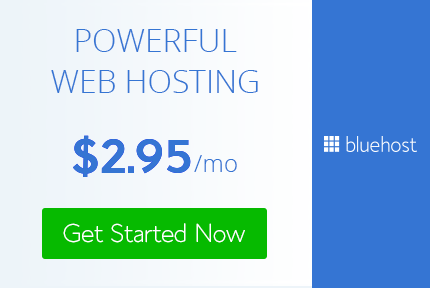 To start your hosting purchase, head over to www.Bluehost.com and click on Get Started Now. You’ll be taken to the next page where you will see all their plans listed for Shared Hosting. You will see 3 different plans from which you can choose which suit your needs. I’ll try to explain as much as I can about these plans in short here. Keep in mind that the rates you see will be exclusively for MaherHackers users, So visit using our link to get the most discount. 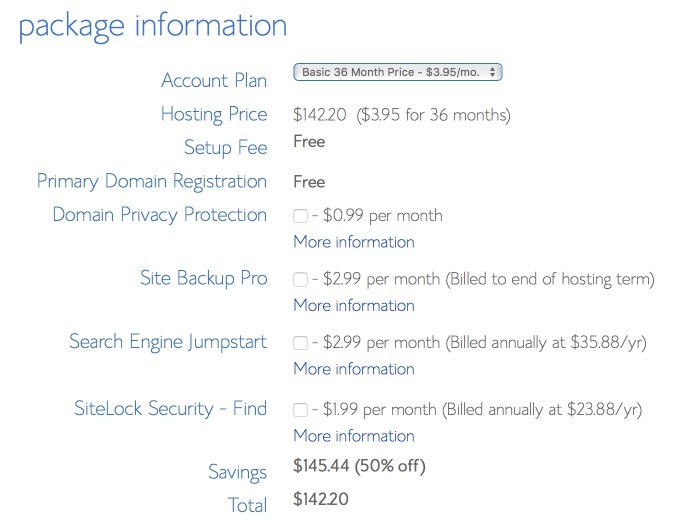 Here is the Bluehost discount link. If you have one website/blog, Choose Basic Plan. If you have more than one websites, Buy Plus Plan. If you need additional features like SSL, Dedicated IP, etc., Then Choose Prime. I would recommend anyone to go with the Plus plan. It offers many features over the Basic plan and you can host more than one websites with them, So it might be easy to host your future websites and you get unlimited space as well, while Basic plan just offers 50GB. Though 50GB is more than enough for one website. Get detailed information on which Bluehost plan suits your needs by visiting the given link. After you have decided your choice of plan, Click Select on that plan and you’ll be redirected to the next page for choosing a domain. If you want to avail the free domain from Bluehost, enter your domain name in New domain window and it’ll be added to your cart without any cost. If you already have a domain name, you can add it instead of a new domain on I have a domain name window. If you don’t avail the Free domain here, you can still get it later for free from Bluehost Cpanel. After choosing your domain, click next and you’ll be redirected to the checkout page to complete the process. Here, you have to enter your account details first. You have to pay attention to this. Make sure you deselect all the add-ons you don’t need. If you are just starting out, You won’t need any of them. So just deselect all extras, and you won’t be charged additionally. One other thing to give attention to here is, Price decreases as you select a plan for a long period. If you select 36 months, you’ll receive the most discount. So make sure to select 24-36 months to avail the maximum discounts. As when you renew, you won’t get this discounts. Now all you have to do is add your payment details below and complete the process. By default, You’ll see an option to pay using the credit card only, but if you click on the more payment options, it’ll give you the option to pay using PayPal as well. Next, you’ll be shown another promotional message to add more domains to your account for a fee, So don’t choose anything and just click Complete to finish the checkout process. After that, you’re all set. It’ll ask you to set a Password for your Bluehost account and Cpanel. So choose a good password and set it. 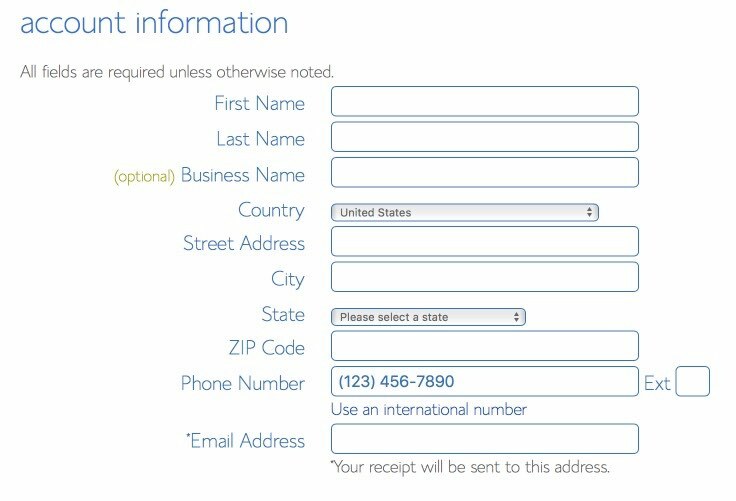 Next, you’ll receive an email from Bluehost with all the details of your account. Take note of all the details. To Login to your Bluehost account, go to Bluehost.com and click on Login at top right corner or visit my.bluehost.com/web-hosting/cplogin and you’ll be redirected to the hosting login page. 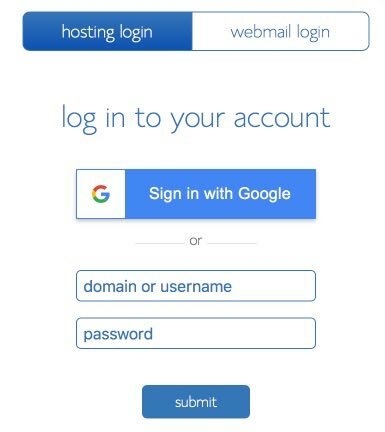 Enter your domain name and the password you just generated on the last step and you’ll log into Bluehost Cpanel. You can also connect your account to Google later and sign in using Google next time whenever you want. I really like that feature because it provides additional security and convenience. After logging into your Bluehost, click on home, and you’ll get to the following page. From here you can control your website data and everything. 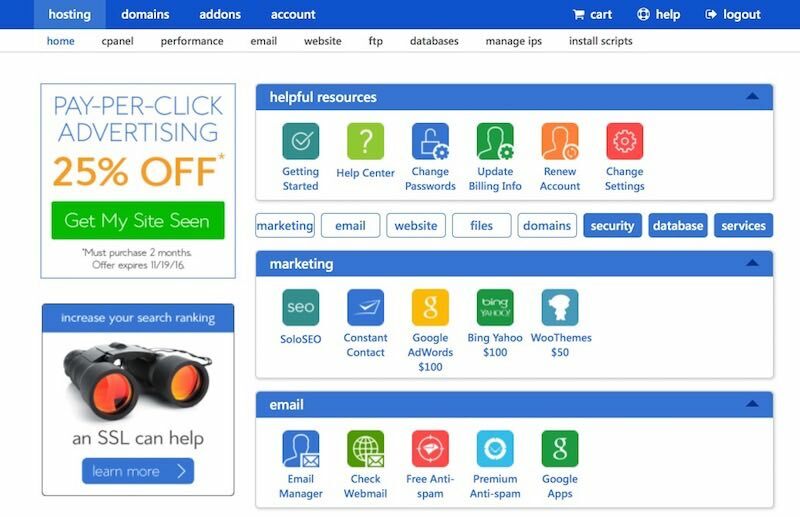 Play with this page a little bit to understand everything Bluehost has to offer. That is all! That concludes our guide on how to buy hosting and domain. You have just purchased your own Hosting and Domain and ready to start your website running from your new hosting space. If you need any help, Comment below or Contact us directly.